On September 30th PUMA announced a new endorsement deal with Jamaican sprinter, Asafa Powell. The former 100m world record holder who holds the record for the most sub 10 second 100m sprints having dipped below that mark 93 times, joins the Global Sports Brand’s growing portfolio of athletes preparing for the 2016 Olympic Games in Rio De Janeiro. In addition to World’s Fastest Man Usain Bolt, this roster has recently been bolstered by key additions including NCAA 100m Champion Jenna Prandini, Australian sprint hurdler Michelle Jenneke and French 800m runner Pierra-Ambroise Bosse. Asafa Powell will become an important ambassador for the PUMA brand in an Olympic year and beyond. He will feature in both global marketing activations promoting Running Training product lines and brand campaigns in the lead up to to the 2016 Olympics. This partnership will also see PUMA working with Powell to design a ‘Sub-10 King’ line of sportswear and spikes. 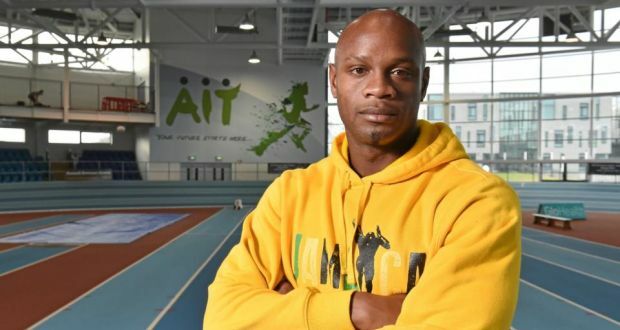 Asafa Powell has run the most sub 10 second 100M sprints in the history of track and field. The Commonwealth, World Championship and Olympic medalist has dipped below the 10-second mark 94 times and was the first Jamaican to win the IAAF Sportsman of the Year. Powell, who clocked the first sub 10 second time of the 2015 track season, was the first Jamaican to ever hold the world record for the 100m dash, with times of 9.77 and 9.74.